Next generation display: Utilizing the latest display technology, the new high resolution (1.15 megapixel), bright, touchscreen offers an intuitive and user-friendly workflow in a responsive, sophisticated yet easy-to-use package, drawing from and greatly enhancing the very successful and popular Leaf Aptus-II line. Planned from the ground-up for comfortable, effective shooting both indoors and outdoors, Leaf Credo’s 3.2 inch display features an extreme viewing angle of 170 degrees. The new touchscreen, which extends beyond the LCD, gives you the resolution and processing power that allow you to check very fine details instantly and maintain greater control over your workflow, while keeping your screen clean of fingerprints. Tools for portable shooting: Now with Live View on the LCD, Credo digital backs open up a whole new possibility for using technical or view cameras un-tethered while on location. Not only can you frame your shot on the LCD, you can check critical focus without a viewfinder and level your camera with the built-in spirit level display (roll+pitch), enabling your creativity to take you where want you want to go, without the encumbrances of cables or viewfinders. If your destination is outdoors during inclement weather conditions, the weather-sealed construction, enclosed battery and a bright, large screen make the Credo a perfect companion for tough, demanding conditions. The internal, replaceable lithium-ion 2900 mAh battery delivers impressive, long-lasting performance when shooting on location. 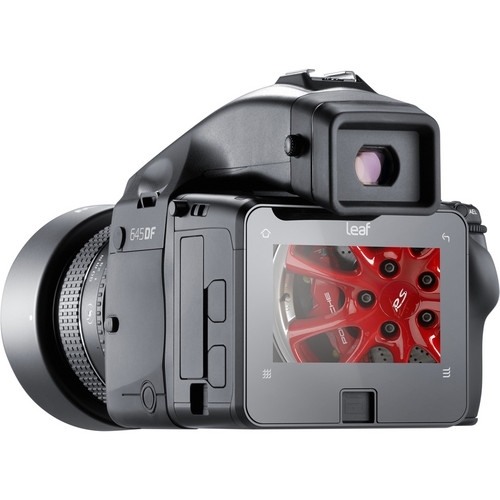 Speed: The Leaf Credo is built with a new dual core microprocessor and extended buffer enabling unlimited shooting with the latest CompactFlash technology, fastest image viewing, zooming and editing. A choice of FireWire 800 or USB 3.0/USB 2.0 connection to a Mac or a PC with fast capture rate and Capture One workflow make the Leaf Credo an excellent choice for studio work. Convenience: Your time is valuable and that is why we designed the Credo backs with features to make your job easier. Save time by picking the outstanding shots when they are captured by using the star rating system. Keep the camera level by using the built-in bi-directional spirit level (roll+pitch), to set up the camera. The internal battery charger lets you move from tethered to portable shooting with a battery that is ready to go at a moment’s notice. The intuitive four touch-buttons and enhanced navigation GUI let’s you make the most of what the system offers without the need for a PhD in computer science. Leaf Credo digital backs are optimized for shooting with Capture One workflow software, which delivers a full range of tools required to capture, organize, edit share and print images. Uncompromising image quality: The Leaf Credo delivers the stunning, film-like quality that has been Leaf’s trademark for many years. 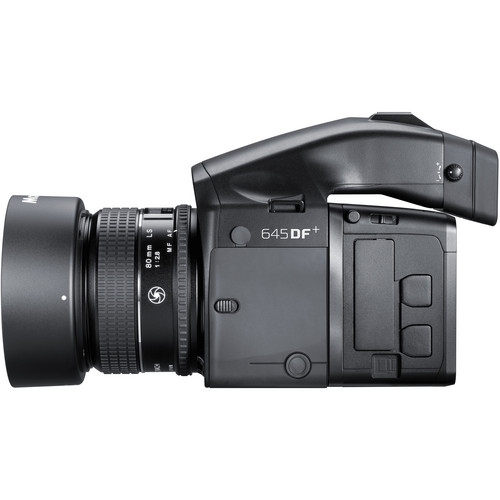 The large, specially designed CCD sensor featuring an unsurpassed 12.5 f-stops of dynamic range provides unmatched detail, richness of color, low noise and beautiful tonality. Lossless 16-bit file compression accelerates file handling without loss of image quality. High resolution and high speed: The Leaf Credo uses high resolution DALSA CCD sensors with up to 80 Megapixel, measuring up to 53.7 x 40.3 mm. The Leaf Credo 80 offers the best price-performance ratio of any 80 MP single-shot capture device, allowing you to take your photography further by capturing the highest quality, single- shot images possible. The sensor provides the ability to record the finest detail, eliminating the need to use cumbersome multi-shot solutions. Capture speeds as fast as 1.2 frames per second: Fastest image transfer speed through the use of advanced FireWire 800, USB 3.0 and UDMA CompactFlash technologies. Total control from capture-to-delivery: The Leaf Credo lets you shoot anywhere. Featuring a high resolution, touch 3.2” screen, enabling you to view, inspect and edit your images under all kinds of challenging lighting conditions, both in-studio and outside, as well as offering a wide range of on-screen functions. Capture One software: Photographers are able to leverage the unique features and workflow environment of Capture One workflow software to optimize and enhance their images, create web galleries and print contact sheets directly from the computer. Wireless preview and control: With the Leaf Credo, you, your client, or an art director can use Capture Pilot to preview and rate images during the shoot on an Apple iPhone, iPad or iPod touch, and remotely control your camera. Extensive compatibility: Leaf Credo backs are compatible with many current and legacy medium and large format cameras as well as wide-angle technical cameras with tilt-and-shift movements. Leaf RAW files can be used in most 3rd party applications such as Adobe Camera Raw, Adobe Lightroom and Iridient Raw Developer. Long term investment: Your Leaf back has the highest resale value on the market, even after many years of use. 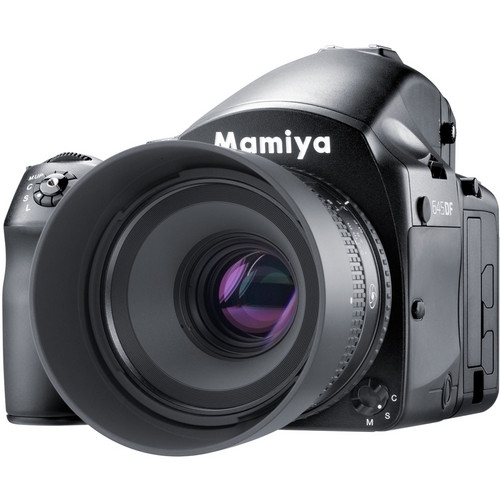 And to ensure that you are always using the best, Mamiya Leaf continues to offer an industry-leading upgrade program.